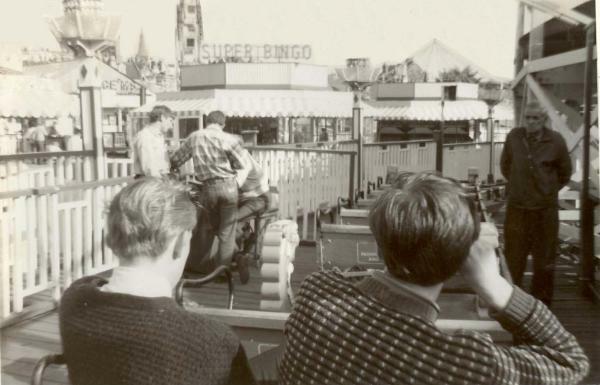 A collection of photographs taken at Dreamland through the years by Barry Cox. Barry, 55, has been visiting Dreamland since he was 5 years old and has taken numerous photographs of the park. The photographs range from the 1960s to the early Bembom years. A big thank you to Barry from all at the Save Dreamland Campaign for allowing us to publish these photographs on the Web. And thanks also to Richard Todd for assembling the photographs and converting them from slides to electronic format for the web. Without Richard's help, this gallery would not have been possible. 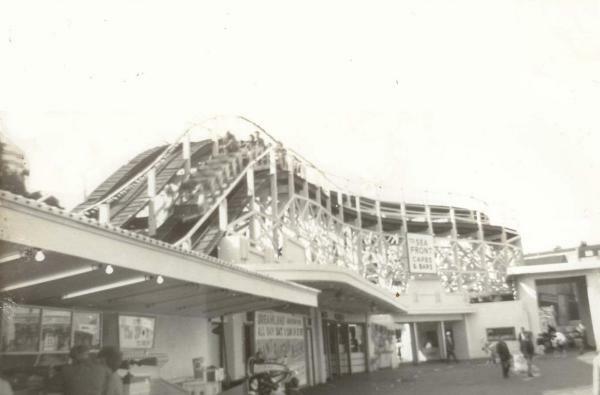 The Gallery includes 60 photographs across ten pages, and is a unique insight into a changing amusement park. 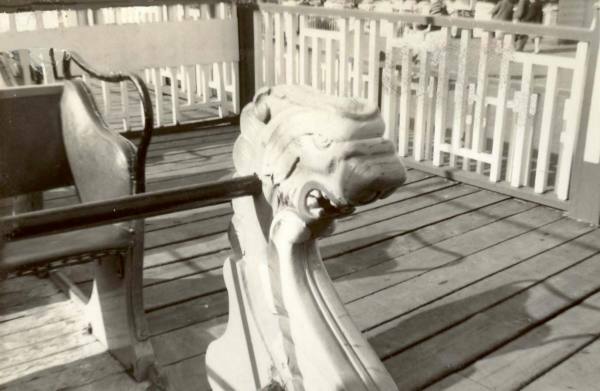 1960s: Detailing on the Scenic Railway train. 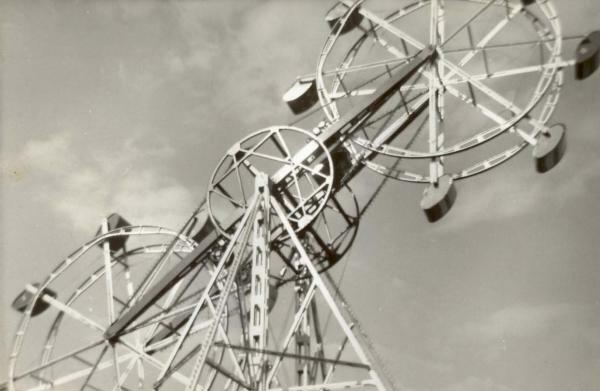 The Sky Wheels, installed at Dreamland in 1953. At the Scenic Railway station. Note that the station was in the open in this period. 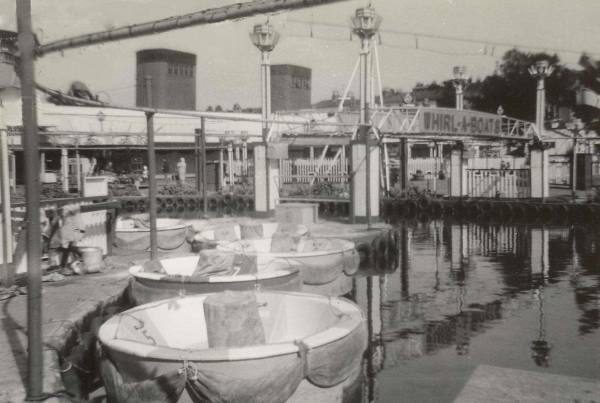 The Scenic Railway in the 1960s. The Octopus (foreground) and Satellite (background) rides. 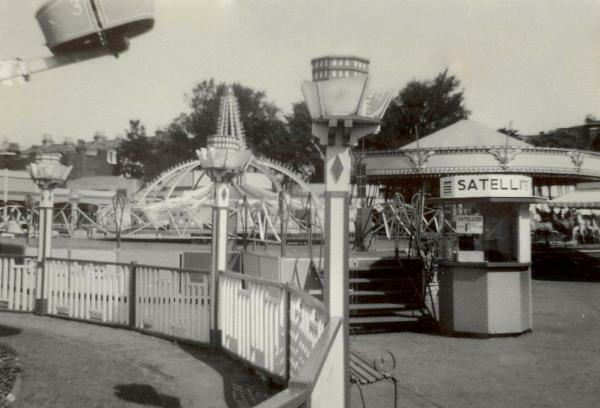 A ride similar to the Satellite operated at Dreamland in recent years.